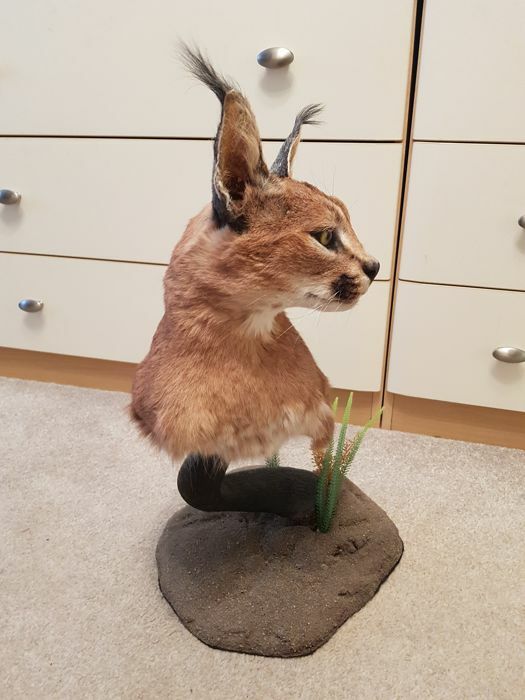 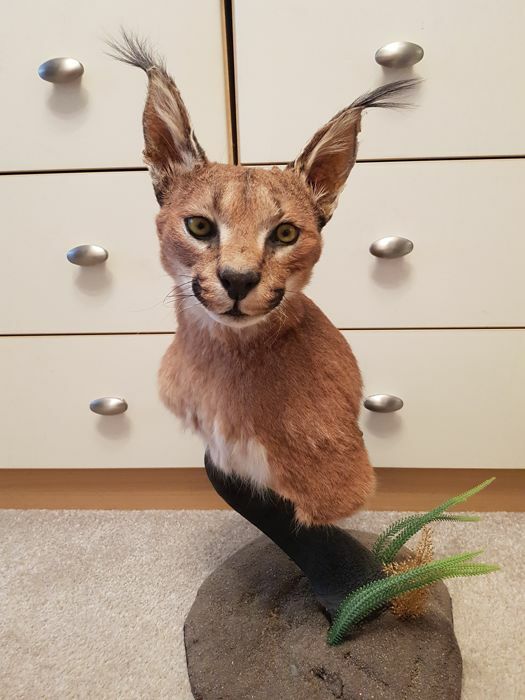 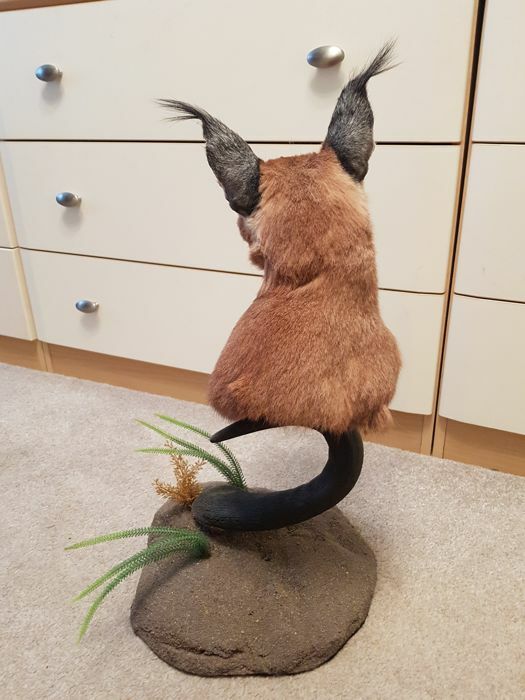 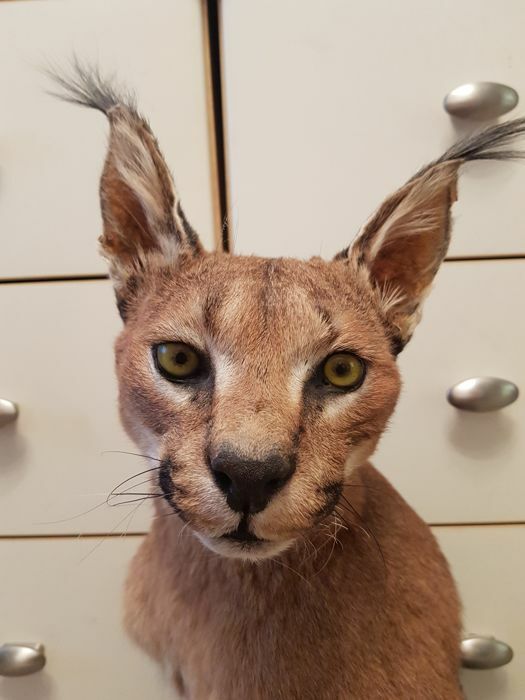 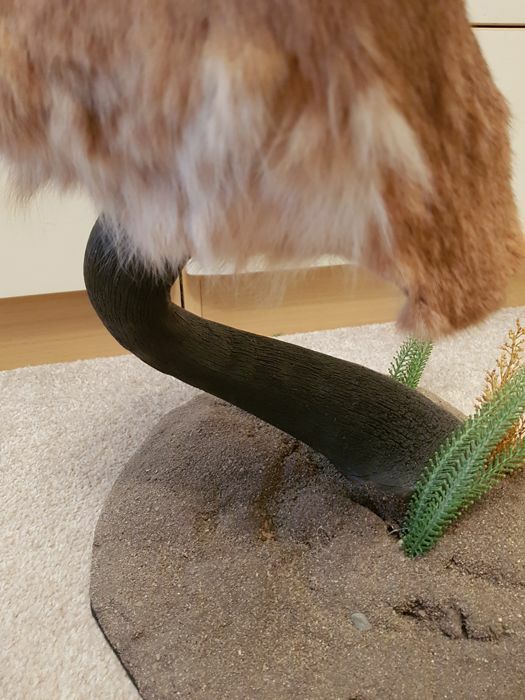 Here we have a lovely mounted Caracal head on to a wildebeests horn from my own personal collection and would look great on a collectors sideboard. 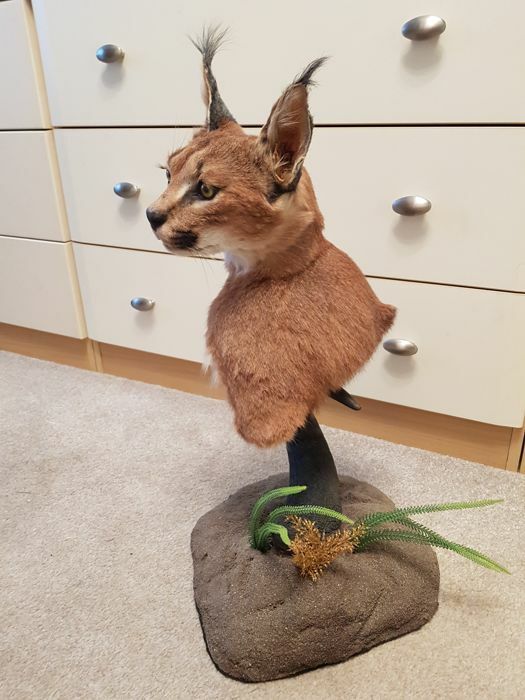 In perfect condition and great detail. 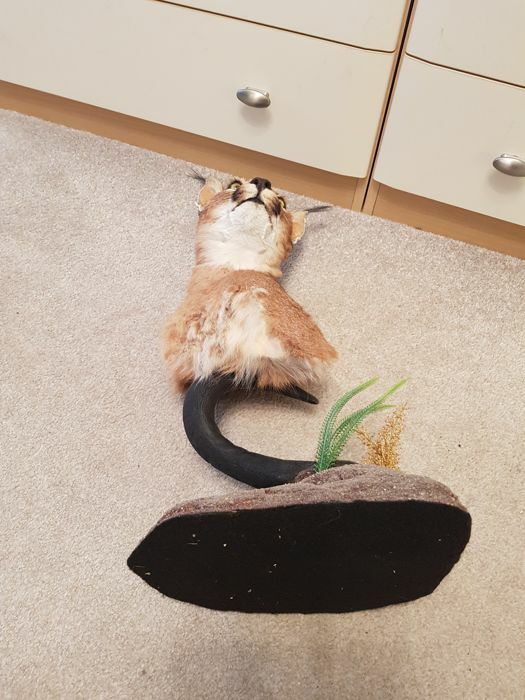 Todo perfecto, trofeo muy bien embalado.